Need a DIY Sore Throat Remedy? Try this soothing natural Echinacea Throat Spray made with the herbal ingredients echinacea purpurea, sage tea, and propolis. A mist to the back of your throat brings instant relief! I have a hard time whining about a cold. It’s really, really tempting to but I know there are so many worse illnesses I could be dealing with other than the common cold. I try hard to be thankful that it’s just a cold. But for others in my family, it’s a sore throat that drives them up the wall with irritation. They beg and plead for cough drops! But I have a little problem where cough drops are confused with candy. 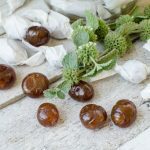 So when I make fresh Horehound Cough Drops each fall, they’ve often disappeared by the time the first illness strikes. And it happens like magic. No one did it, no one saw it. They simply vanished into thin air. So then the kids start begging me to buy cough drops. But I know that most brands are full of sugar and artificial crap that I really hesitate to give them to these people whose immune systems are already struggling against the cold. Besides, I know that ultimately it’s only the extra saliva you make while sucking the cough drops that really does the soothing. I needed a natural DIY sore throat remedy. 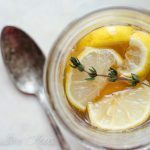 One that is just as effective as Honey, Lemon, Thyme Cough Syrup and would sooth and relieve their sore throat pain without being treated like candy. And that’s what makes Echinacea Throat Spray a game changer for me! Not only is it just as effective as sucking on candy (maybe more so!) but I feel good about using it knowing the herbals are working to bring healing. 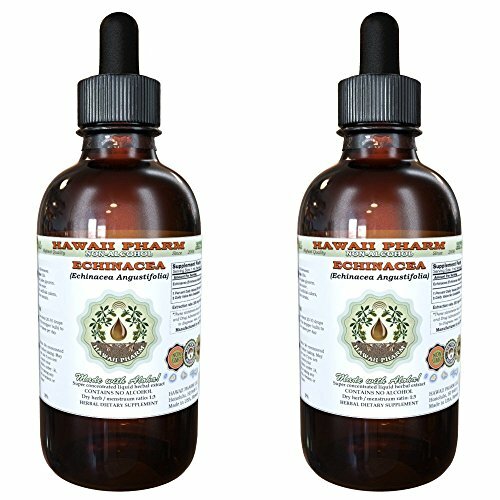 Echinacea Throat Spray combines two wonderful herbal methods. 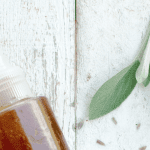 It uses echinacea tincture and an herbal infusion of sage & propolis, along with a wee bit of cooling peppermint essential oil, to bring soothing relief to a sore throat. 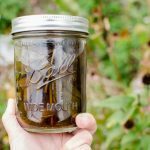 Each year, I make sure I already have a batch of Whole Plant Echinacea Tincture on hand before we head into cold & flu season in the fall. So that makes Echinacea Throat Spray a breeze to prepare. (Or you can just buy echinacea tincture. 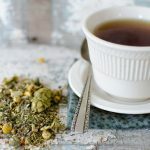 If you are interested in learning more about incorporating herbs into your care of your family, make sure to look into The Herbal Academy of New England! I’ve taken several courses with them through the years. These are serious, thorough, deep lessons on health and wellness and the roll that herbs play in achieving that. One of my resolutions this year has been to turn that knowledge into an actionable plan when illness strikes. I’ve created a “cookbook” for our family as well as a sort of “triage” system to determine what steps I should take and when depending on the symptoms. Need a DIY Sore Throat Remedy? 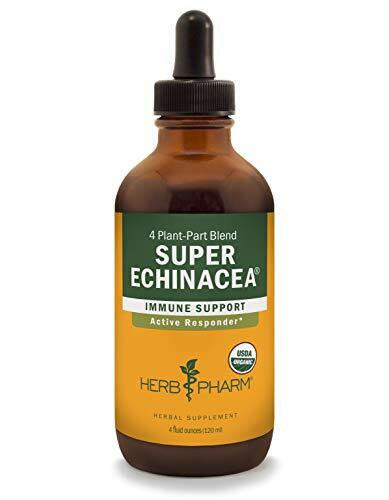 Try this soothing natural Echinacea Throat Spray made with the herbal ingredients. One mist brings instant relief! Make a herbal infusion (tea) with the sage and propolis in ¼ cup boiling water. Strain the sage and propolis from the tea and compost them. Mix in the echinacea tincture and peppermint essential oil. Shake well and spray into the back of your throat as needed.